Maritime Vinyl: Tonella - Compromise EP - review! Second release from Fredericton based piano driven pop/rock band Tonella, and be aware that they came out swinging. Created around their new single Compromise, this EP has five solid songs that keep you wanting more. I can’t wait for their next full length album. 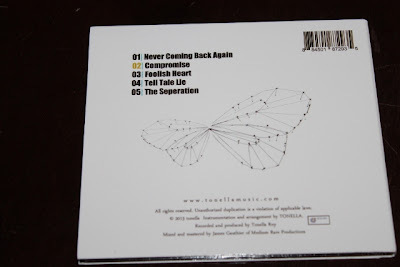 Fronted by singer/songwriter/ pianist Tonella Roy, backed by Jason Sonier on drums, Camilo Villamizar on guitar and Josh Blaquiere Bringloe on bass. These musicians are no strangers around the local Fredericton music scene, sharing years of experience that really shows on this release. 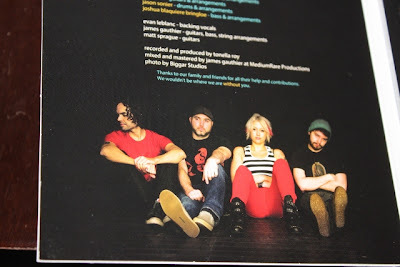 This EP has everything; from solid songwriting and singing to very impressive musicians making up the band and understanding that flashy solos and fills just doesn’t work all of time. Less is more and consistency is everything with these musicians. 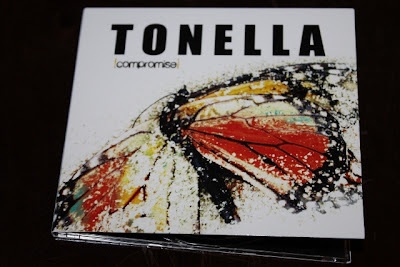 Tonella Roy nails the vocals showing she is never afraid to hit a challenging note while being careful not to show off. This EP really allows her talents to shine through. This music sounds loaded with 90’s influence but stays clear of the normal “battle of guitars” sounds that most bands in this genre were pushing for. They have just the right amount of fills and solos, proving that they do not need this flashy playing to have a good EP. You get a little bit of everything here; if you’re in the need of a heavier based rock song check out their first single Compromise or try the other heavy hitter Tell Tale Lie. If it’s a slow piano ballad you’re looking for there is Foolish Heart or for anything in between try the great opening track Never Coming Back Again or closing number The Separation. They were really not afraid to hit the listener at every angle. 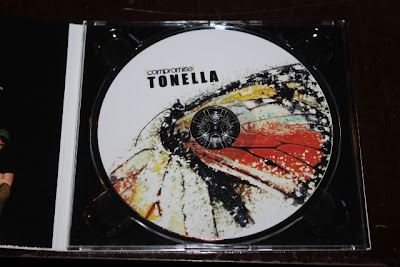 Be sure to catch Tonella at one of their many East Coast dates including an ECMA showcase in Halifax. I posted their tour schedule below. 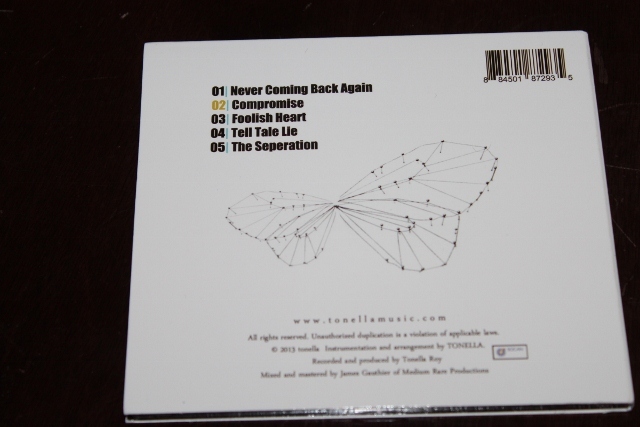 For more information or to purchase this EP, visit their website at www.tonellamusic.com.